Due to sensitive client information, I am not able to display my visual work publicly on this website. Contact me if you’d like to hear more about this project! The summer after my Freshmen year (2017) at Carnegie Mellon University, I worked as a Digital Media Intern at one of the largest medical device companies in the world; it is a leader in the development of new orthopedic products and has released thousands of new products that have hugely influenced the medical field. During my time there, I worked with the in house Design team that worked on all its digital products including its website and over three different mobile applications. Working in an agile environment, I helped the team develop dashboards that communicated how their different products were performing. Each dashboard utilized different statistics and measurements that helped inform my design process. 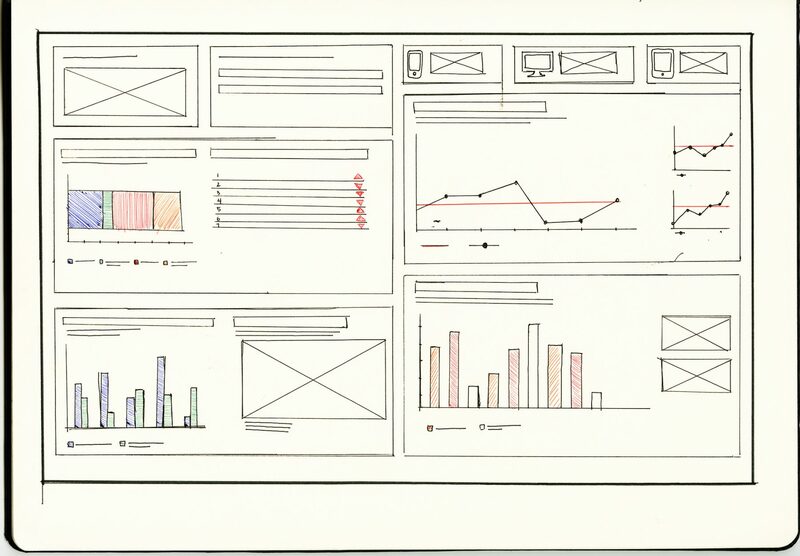 My main goal was to communicate the health of each digital product through these dashboards. Throughout the summer, I gained valuable skills in data visualization, formulating Key Performance Indicators (KPIs), and collaborating with diverse groups to come up with designs. I grew tremendously in my ability to face problems full on and step out of my comfort zone to get to the desired solution. Sometimes that meant scheduling meetings with people I wasn’t familiar with, other times that meant confidently presenting my work to managers and mentors. The agile environment I worked in also encouraged me to grow through working in short sprints. I learned the importance of making short term goals, being mindful of stakeholders, and doing user testing to research whether a design idea was successful before moving forward with any one idea. Through this opportunity my understanding of design and how it works in a company greatly matured. Through my internship opportunity I learned how to communicate with mentors and to be more aware of who I am designing for. Another important skill I gained while through this position was learning how to organize and understand data before I begin using it in my designs. Walking into this company, I knew next to nothing about the orthopedic field and what it looked like to design for doctors and surgeons. Thus, it was crucial that I got a handle on these topics before I was able to actually help design in any way. From sitting in on meetings, to being able to design products for the whole team to use, this opportunity has played a part in preparing me to be more confident in how I tackle different design problems.